We organized a Search Conference at Minerva Han, Karaköy, on January 28, Thursday, with the attendance of FASS faculty members and esteemed guests observing our faculty from near and afar. Under the guidance of Oğuz Babüroğlu and Arama Consultancy team, we shared our thoughts on issues such as education, research, potential focus areas for the faculty, administrative requests, and steps toward a higher level of interaction with the society. We tried to develop a new sense of shared wisdom. We thank all participants who have shared their thoughts with sincerity and generosity for us to set sail toward ground-breaking change. 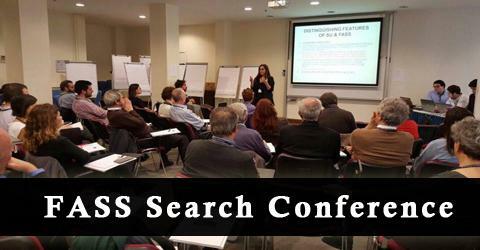 Click here for the photos of the Search Conference.